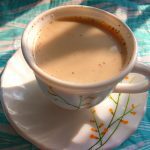 Hot Cinnamon Vanilla Steamer – Perfect blend of milk, cinnamon, vanilla etc. for those who love drinking different types of hot beverages! Hot drinks and winter : A perfect combination. We all love to drink hot coffee, tea, may be simply milk etc during the cold winter season. All the hot beverages go well with yummy snacks during the winter season. Especially snacks like sandwiches and cutlets taste perfect with hot beverages like tea or coffee. 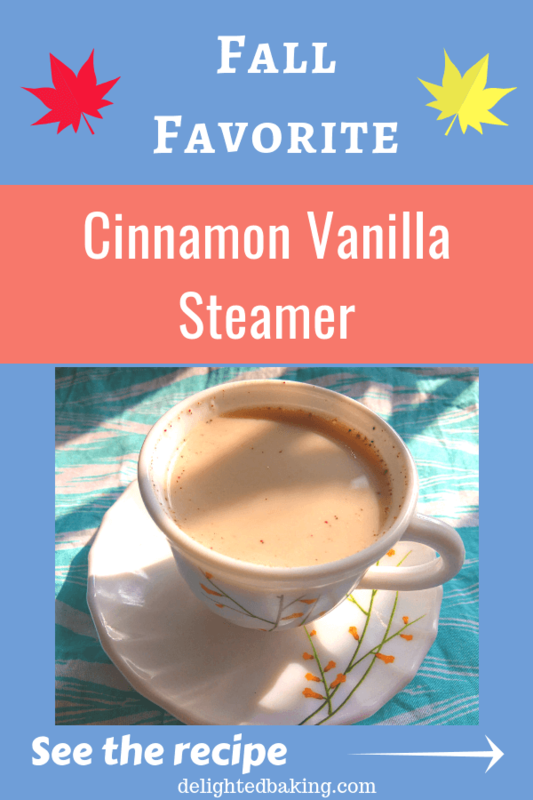 Today, I am sharing one of the easiest yet delicious hot beverage recipe – Cinnamon Vanilla Steamer. Vanilla and cinnamon is a wonderful combination. Their taste is subtle. They don’t need any fancy add on. And their taste is unique. Cinnamon Vanilla steamer is a simple and quick recipe. You only need 10 minutes to make this amazing hot drink. You can enjoy this at any time of the day. You can also serve this cinnamon vanilla steamer to your guests during the winter season, instead of the usual tea and coffee. They would definitely enjoy drinking this not so common drink. This recipe is a healthy one as we won’t be adding any sugar into this. Instead we will add honey. This recipe is a combination of only 2-3 ingredients – Honey, Cinnamon, Vanilla and milk; yet it tastes amazing! I have added freshly prepared cinnamon powder in this recipe. For this, simply add two to three cinnamon (Dalchini) sticks into a blender jar and powder it. If you do not have cinnamon sticks at home then you can use ready made cinnamon powder. Another important ingredient of this cinnamon vanilla steamer recipe is honey. In place of sugar, this recipe uses honey as a sweetener. You can replace honey with sugar if you want, or if you do not have honey at your home while preparing this recipe. But, I believe honey is a better option for this recipe. Honey gives a beautiful taste to this recipe. Prepare for yourself a cup of hot cinnamon Vanilla steamer, grab your favorite book and enjoy! Do try this recipe and let me know if you have any questions. In a saucepan, add milk and cinnamon powder. Mix nicely and let them simmer, on a low flame, for 2-3 minutes. After 2-3 minutes, switch off the flame and add vanilla extract and honey. Mix well. Hope you try this recipe. 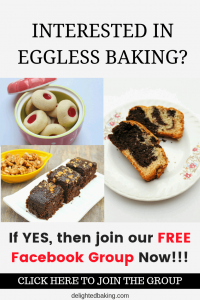 « How to make the best eggless spiced almond cookies?